The Holo Haleʻiwa shuttle provides regular round-trip transportation from Waikiki to Haleʻiwa, the "capital" of the North Shore. It allows you a convenient and relaxing way to visit the other side of the island plus the ability to explore the North Shore at your pace and leisure. Enjoy uncrowded beaches and world class surfing, unique local boutiques, delicious Hawaiian eateries, and amazing eco-tour activities! With either 3 hour, 6 hour, or 9 hour options one thing is for sure, you will have more than enough time to discover all that Haleʻiwa has to offer. The Holo Haleʻiwa shuttle departs Waikiki at two different times: 7:30am and 10:30am. Depending on which shuttle you select, you will arrive in Haleʻiwa by 9:00am or 12:00pm respectively. Riders will enjoy a comfortable ride in our spacious air-conditioned minibus. Along the route your driver will point out famous Oʻahu landmarks, such as, Punchbowl National Cemetery of the Pacific, Pearl Harbor, Kūkaniloko birthing stones, and the Dole Pineapple Plantation to name a few. The drive will have you saying goodbye to the bustling city and aloha to the slow-paced charm of Oʻahuʻs famous North Shore country side. 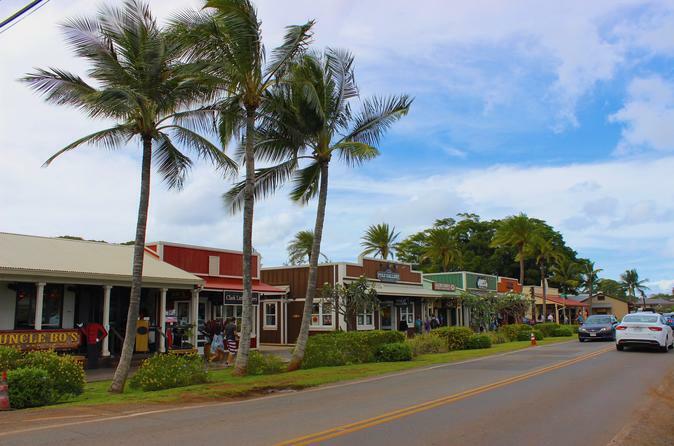 Once in Haleʻiwa you will be able to explore the many local boutiques, eco-tour activities, and delicious eateries the North Shore has to offer. And last but not least, you can relax and swim on pristine, uncrowded beaches during the summer or witness world class surfing during the winter months. Choose to return to Waikiki at either 3:00pm or 6:00pm and at the end of your excursion, youʻll be full of good food, good souvenirs, and good memories!